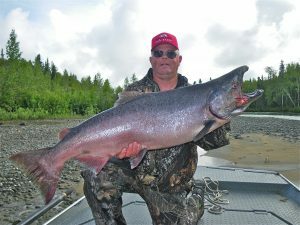 The Alaska Department of Fish and Game recently closed or restricted king salmon fishing for the coming season in the Susitna River and Little Susitna drainage, and cut commercial fishing in the northern Cook Inlet. The problem is not enough kings. On the next Outdoor Explorer, we’ll explore why this is happening and the impact of this decision, as king catches have sagged in various areas of the state for several years. Segment 1: “Reason for king salmon shut down in Susitna drainage”. Regional Fisheries Management Coordinator Matthew Miller. Segment 2: “Reaction to king salmon shut down”. Andy Couch, owner of Fishtale River Guides. Segment 3: “Training calendar part 5”. Lisa Keller, Multi-sport Training of Alaska.